Vitafoods Europe was held two weeks ago in Geneva, specifically in Palexpo. 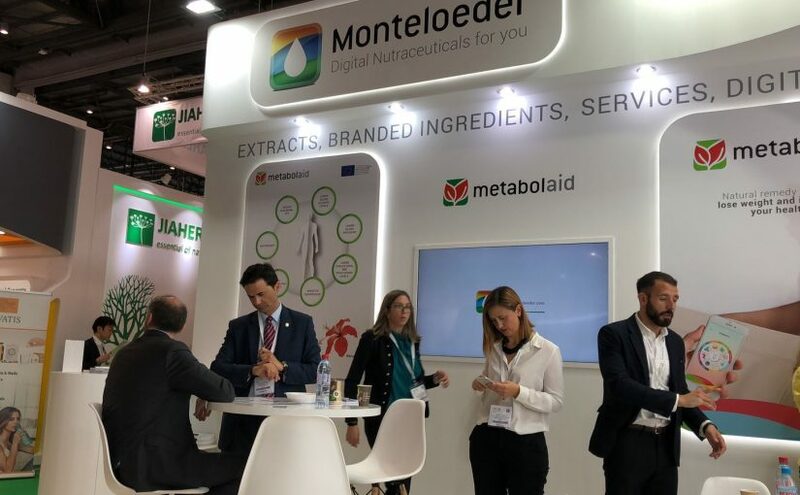 Although the results of the fairs of ingredients of the nutraceutical industry are always seen in the medium and long term, we can consider this trade show as very positive for Monteloeder. We must bear in mind that almost 200 companies approached our stand interested in our products, mainly by the two novelties we presented, the MetabolAid and the ZeroPollution. The first one is aimed at the problems associated with the metabolic syndrome and the second focuses on protecting and repairing the skin from the damage caused by pollution. The digitalization, which is our great innovation in the industry, also attracted a lot of attention. It is about making use of digital technology to demonstrate the healthy effect of our ingredients on consumers. 65% of the companies that visited us are new contacts. Talking about the origin, the majority of customers who came to our stand came from Europe, although it is noteworthy that almost 20% of the total came from Asia. We have already started to follow up on all the meetings we had. Our next event exhibiting is Health Ingredients China in Shanghai next month.